Editor’s note: In 2012, Google CEO Sundar Pichai shared his excitement that the Council Bluffs, Leyden, Fond Du Lac and Richland Two school districts were about to go “all in” on technology by providing Chromebooks for their students. Pichai said, “I can’t wait to see the impact it has on the education dynamics in the classroom.” Now, four years later, the first wave of students who used Chromebooks throughout high school have graduated, so we reached out to the schools to find out what they learned along the way. To learn more tips on using Chromebooks in the classroom, join us for Education on Air on December 3rd. It takes time for people to adapt to any new device or technology, so be patient when integrating it in schools. “Our faculty loves using Chromebooks in the classroom, almost as much as our students do, but first they needed an initial transition period to adapt to the new technology,” says Dr. Tatiana Bonuma, a principal for Leyden School District in Illinois. To make the transition easier, Leyden has student technical support interns who are available to answer teachers’ questions and troubleshoot any issues that arise. Students also may go through a short transition period while they learn different ways to use the devices, not just as word processors, but for research and deep learning. 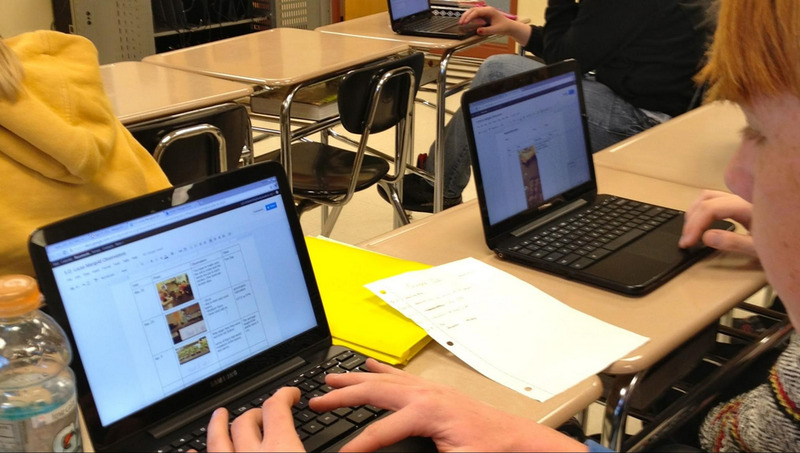 “At first, our students used Chromebooks as a replacement for paper and pens,” says Samantha Adams, a high school language arts teacher for Council Bluffs School District in Iowa. However, this changed fast as students dived into the internet to do research for science projects, history papers and other assignments. In many schools students with computers and internet access at home have a significant advantage over those that don’t. But with a Chromebook in every student’s backpack, every student in the class has the same opportunity to spend time learning, working on projects and expanding their knowledge. “There has been a significant shift at our school in student technological and research capabilities because we use Chromebooks and Google Apps. This program has been a great equalizer, giving every student the ability to learn and understand technology,” says Susanne Liggett, a high school teacher at Richland County School District Two in South Carolina. Using Chromebooks on a daily basis means students are more prepared for college and that they are learning skills that will help them throughout their lives, no matter what field they choose. 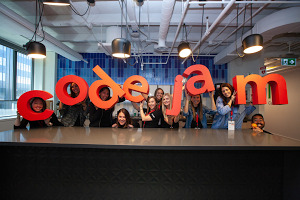 “All of our graduating students are now able to use technology to work on digital projects, such as creating websites, YouTube channels and interactive Google Drawings, at the level a university will expect,” says Renee Nolan, an educational technology coach at Fond du Lac School District in Wisconsin. Chromebooks can be powerful communications tools for young people who are developing social, interpersonal and other life skills. “Some of our students who were shy or reluctant to work with their classmates on a project became more willing to do so electronically,” says Michaela Gray, a high school teacher at Council Bluffs School District. For example, students who might normally avoid engaging in the classroom are eager to use Hangouts and Docs to communicate about assignments and collaborate. At Council Bluffs, Gray saw an increase in student participation as a result of Chromebooks. The devices are so easy and fun to use that students take to them very fast. This is a good thing, but the enthusiasm must be balanced with face-to-face interactions. “Sometimes I have to remind students of the importance of discussion and collaborating in person to build communication skills,” explains Liggett. It’s been exciting to observe these freshman classes learn to use Chromebooks for the first time and learn that they feel better prepared for the next chapters in their lives because of their experience with the technology. 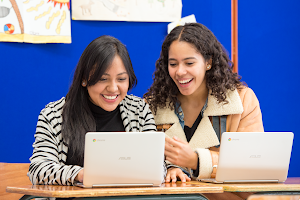 “Students that visit after graduating say their experience with Chromebooks makes them feel ready to take on college and the professional world,” says Dr. Tatiana Bonuma, Principal at West Leyden High School. Imagine what we will be able to learn from graduating classes in the future as the role of technology continues to expand in the classroom. To learn more tips on using Chromebooks in the classroom, join us for Education on Air on December 3rd.